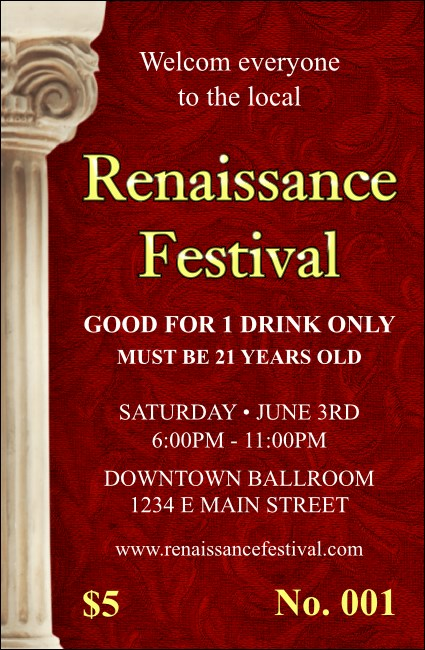 Fill their bellies with mead or wine when you hand out the Renaissance Drink Ticket to your guests. Bright yellow and white text stand out on a lovely crimson design, with a column standing to the left. This design template works for festivals, faires, or educational gatherings.